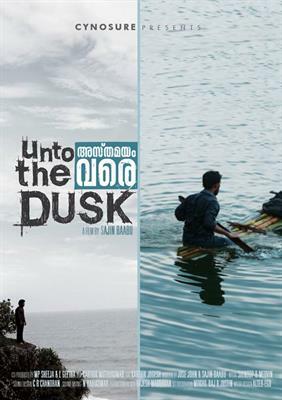 Unto The Dusk malayalam movie directed by Sajin Babu is having its final touch. The movie which pools into an unusual spiritual journey will have Sanal Amal in lead. Shot across 100 locations in Kerala, Bengali actress Prakruthi Dutta Mukherji has donned the heroine role in the movie which focuses on the relationship between man and nature. After the final cut, 'Unto The Dusk would reach theatres in the first quarter of 2014. The movie will be produced by M.P. Sheeja and L. Geetha under the banner Cynosure. Sajin Babu is one among the youngsters who had kept his dreams alive of becoming a film maker. Now the young man is gearing up to take his dream to the big screen. After making a documentary on the life of a delegate who comes to Thiruvanthapuram for the festival, Sajin is helming a project titled 'Unto The Dusk' which is being made with a budget of Rs 80 Lakhs. The movie which pools into an unusual spiritual journey will have Sanal Amal in lead. Shot across 100 locations in Kerala, Bengali actress Prakrithi Dutta Mukherji has donned the heroine role in the movie which focuses on the relationship between man and nature. 'Unto The Dusk' will be produced by M.P. Sheeja and L. Geetha under the banner Cynosure. Sajin Babu, the award winning short filmmaker tells the tale of an individual and fright of his deep-buried past and the gloom which haunt his present. The central character, who was forced to join the seminary by his family spend 7 long years later made a second though which transformed his life. He sets on for a journey which makes his to discover his inner self. The main feature of the movie will be its unique narration where man's innate connection with mother earth is being explored. Most of the scenes shot at interiors were taken at places which were reached after hours of trekking. The movie which is can be tagged under as a thriller will be a stepping stone for a bunch of new faces who had been taken after auditions. Sanal Aman, a product of the School of Drama would be seen giving life to the lead character while theatre activist Prakrithi Dutta Mukherji, Sakkir, Joseph Mapilasery and Shilpa Kavalam are also part of the movie. Scripted jointly by Sajin Babu and Jose John, 'Unto The Dusk' has no background score or music and no the characters will have no names. After the final cut, this movie would reach theatres in the first quarter of 2014.